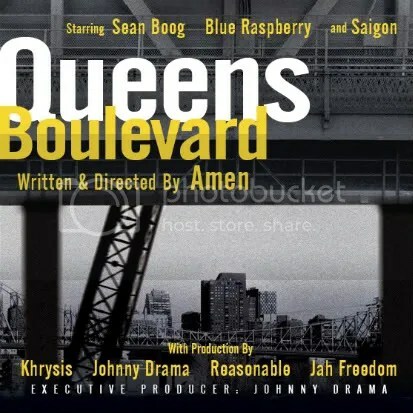 Today we get our first look at Amen’s upcoming free release, Queens Boulevard, and yes, that is a reference to the HBO series, Entourage. And who else could possibly fit better on a feature for the first single than Saigon, the rapper that gained much of his hype through the show. It’s always nice to get some new Saigon, but what’s even better, is that we get a real taste of what Amen is capable of, showcasing his ability to spit a boat load of bars with a high level of intensity. Check out the exclusive track and be sure to come back next week, September 30th, to catch the entire album for free! I had almost completely forgot how dope this song was until the video surfaced. Too good, Saigon’s Warning Shots 2 dropping September 29th. If you'd like to become an affiliate or you are a representative to an artist in the music industry and would like us to post their material please feel free to email us as well.